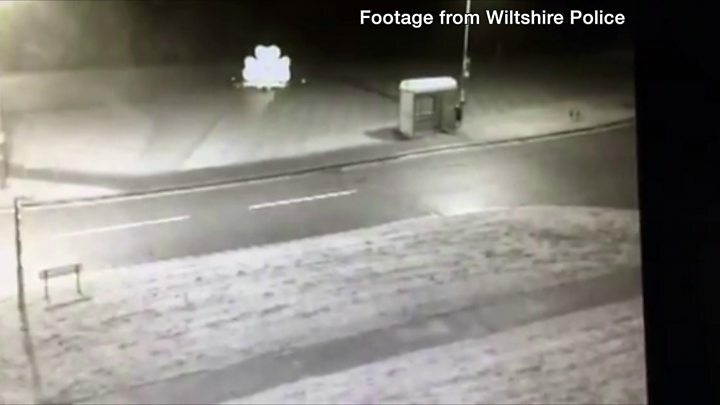 A 4.5-tonne marble memorial poppy that collapsed in Royal Wootton Bassett is to be replaced with a bronze replica. The 10ft (3m) sculpture, named Forever, was created by a local artist in gratitude for the way the town honoured repatriated military personnel. But it collapsed under its own weight in October 2017 and several options to repair or replace it were considered. The town council and residents have now agreed to replace it with a bronze replica for "stability and safety". 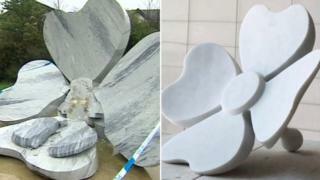 A crowdfunding campaign will be launched to pay for the new sculpture. Resident Tom Patterson, from the restoration committee, said the replacement decision was "aided by the fact that bronze has been used many times in the past for large monuments and statues and whilst amazing to see, it also has longevity. "We are currently in talks with local businesses in regards to making the replacement poppy." The coffins of 355 fallen military personnel passed through the town between spring 2007 and summer 2011, and the town's high street became a focal point for families of the deceased.